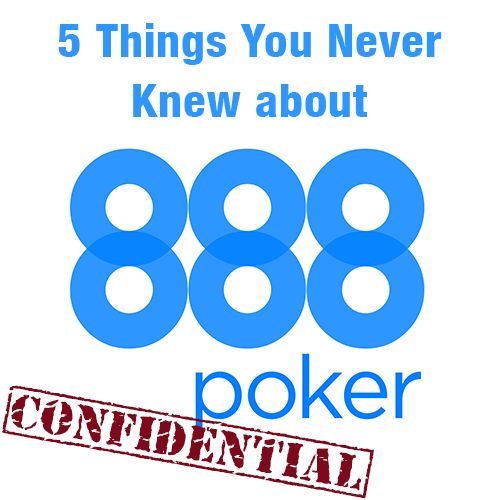 888 Poker is one of the leading online poker sites in the world and has built up its customer base through being a trustworthy and well regulated operator. Although it has enjoyed explosive growth as a company and is very publicly listed on the London Stock Exchange and regulated by the Gibraltar Gaming Commission, the background of the company and it’s founders has been kept a very private affair. So armed with that challenge, and with my investigators hat on, I have been working hard and am going to hit you with 5 interesting things that you probably never knew about the company, it’s activities, owners and business background. 888 was founded by 2 sets of brothers, both from Israel. The story of how the company was born is actually really interesting and just goes to show that with a bit of creativity and the dedication to getting something to work, you can build a fortune. The business was an idea of Aaron Shaked, who was a dentist by profession. It was during a trip to Monte Carlo where he was attending a dentist convention that he was first introduced to the thriving gambling industry, and fascinated by the packed casino in Monte Carlo he started to think about the idea of starting an online casino. He returned to Israel and told his brother Avi about what he had seen and his idea. Avi was equally excited about the business opportunity however there was only one stumbling block. Neither of the brothers knew how to gamble, and there were not many casinos in Israel at the time. The brothers made the journey to their closest casino in Taba, Sinai and spent a lot of time and money playing the different casino games, learning the rules and observing the behaviour of their fellow gamblers. 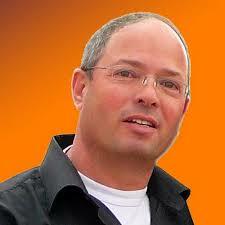 Avi Shaked – supported his brother in founding the 888 company and along with it their fortune. Having obtained some knowledge of how the games worked and their rules, they then had another issue to resolve, they did not have the technical know how to build the software. To resolve this they contacted another set of brothers, Shay and Ron Ben-Yitzhak and offered them a partnership in the company. They accepted, with the Shaked brothers owning 70% and the Ben-Yitzhak brothers owning 20% and the remaining 10% being allocated to raise financing. In 1997, the two sets of brothers set about launching the business, with the Shaked brothers concentrating on the business side and the Ben-Yitzhak brothers developing the software and technical side. Shay Ben-Yitzhak explained in a recent interview how he also had no experience of gambling or casino games and how he had to work from notes given to him by the Shaked brothers which they made from their research in the casino. The brothers bought a gaming license from Antigua at a cost of $100,000 which together with the software developed enabled them to start trading under the name Virtual Holdings. The incredible story of 888 had begun. 888 is the established brand of the company now, but it hasn’t always been that way. The company have had a number of names and brands throughout the years. The main holding company started as Virtual Holdings in 1997, but has since developed to being called 888 Holdings plc with an operating subsidiary called Cassava Enterprises, which holds the gaming license. It has also had a number of customer facing brands, with the casino side of the business originally being branded as Casino-On-Net when launched in 1997 eventually being re-branded as 888 casino to fit in with the overall company brand and vision. 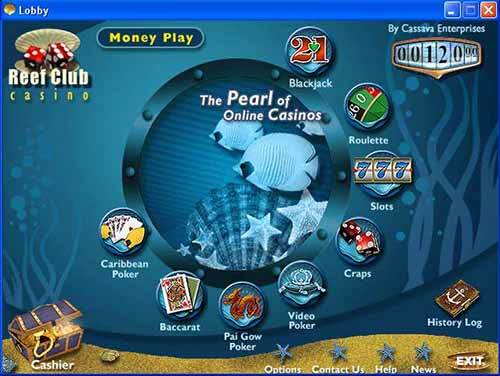 They also launched Reef Club Casino in May 2002 which was an underwater themed fantasy style casino. Their poker offering was original called Pacific Poker launched in 2002 until similarly it was re-branded as 888 poker in more recent years. The 888 brand has continued with new avenues of business being added with 888 sport, 888 bingo, 888 ladies and 888 games all being launched offering specific games in those markets. 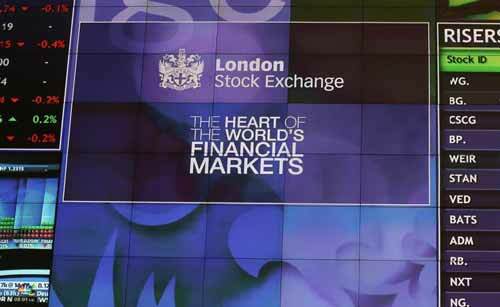 In 2005, the company really professionalised their business with a headline grabbing floatation on the highly regulated London Stock Exchange. It grabbed so many headlines because of the gambling nature of the business on such a traditional and highly regulated stock exchange and at the time was very close to the Party Poker floatation which had also raised so many eyebrows. Also the value of the floatation at $1.5billion revealed for the first time to traditional financiers who dealt with the London Stock Exchange just what a valuable industry the online gambling market was. After the floatation, the Shaked brother’s owning was diluted to 50% and the Ben-Yitzhak brother’s to 11%, however they were all made very rich by the shares they sold during the floatation. 4. What are the Founding Brothers doing now? Unfortunately, the brother who came up with the idea for 888, Aaron Shaked died in 2010, aged 58, after fighting a serious illness for a number of years. He had been known as a philanthropist, spending his fortune (reportedly hundreds of millions) to help others in need both in Israel and internationally. He has certainly left a legacy with his idea born out of a simple trip to a Dentist convention in Monte Carlo growing into a billion dollar company. Avi Shaked used his fortune to enter into Politics in Israel, being one of the most prominent advocates for peace between the Israelis and Palestinians. He has been credited with being a significant contributor to the Geneva Convention agreement in 2003 which lead to peace talks between the two sides. He famously offered $1billion to the Palestinian Prime Minister if he would sit down with his Israeli counterpart and reach a peace agreement. The offer was turned down, but shows just how dedicated to the peace process Avi was. Out of all the brothers, Shay Ben-Yitzhak remained the most active in the company after the London Stock exchange floatation and all the changes that brought. He served as a the Chief Technical Officer of the company up until 2006, being the last of the brothers to step down from the day to day activities of the company. He left to spend more time with his family. Very little is known about Ron, other than he was the one who persuaded his brother Shay (who had the technical know how to get the software developed) to get involved with the company, without which 888 would probably not have got off the ground. The Yitzhak brothers are now both spending time with their families enjoying their fortune which reportedly stands at $250million after they sold further shares in the company. To find out more about the founders of 888 then this is a good read. After initially being licensed by the Caribbean island of Antigua, 888 Holdings is now fully regulated in Gibraltar. Gibraltar is a possession of the British Crown and is well respected as an online gambling regulator with some of the biggest names in gambling being regulated there. It has certainly been a step up for 888 achieving a license in Gibraltar and with the knowledge that the Gibraltar regulators are closely monitoring the companies activities has certainly given the reassurance to investors on the London Stock Exchange and the customers who play poker and other games with the company. The company has grown significantly over the past few years and many credit this to the achievement of a highly trusted Gibraltar gaming license. If you are not already a player at 888 then I highly recommend them. Not only are they one of the largest operators in the world, but they are highly regulated and monitored by both the Gibraltar Gaming commission and the London Stock Exchange. They are known as one of the most trustworthy operators on the internet and not without reason, they have, and continue to work hard to maintain that reputation.